ROBLOX seems to be scoring some Google-sized numbers these days. In 2013 alone, the company managed to accrue more than 13.4 billion pageviews throughout 2013. But today's news isn't just about what their intake is, it's also about what they're giving back to their own community. The company made some pretty important news public today in relation to payouts to young developers who have built popular mini-games within the ROBLOX design environment. For those that don't know, ROBLOX is an online gaming toolset that allows gamers of all ages to build the kind of games they want to play using easy-to-use sandbox mechanics. This has opened up the door for all sorts of interesting design projects and user-made games that have skyrocketed the success of ROBLOX within the interests of young and old gamers alike. Two creators who have benefited greatly from the developer exchange program that the company is running are Irish-born teenagers Conor and Darragh Griffin from Limerick, Ireland. The duo created a highly popular competitive online sword-fighting game called Sword Fighting Tournament. Since the start of the developer exchange program the duo has earned $19,000 in total payout. That's more than what a lot of middle-class Americans are making these days while working two-jobs and selling prescription Vicodin on the side to alley-abiding addicts. That's great news for the Darragh siblings. ROBLOX has actually received more than 424 developer exchange requests and have paid out more than $175,000 since the program began. The service has also played host to more than 15 million games ranging from all sorts of different genres and gameplay types. The company has been rapidly expanding since coming into existence a few years ago, leaping beyond $176 million in trading back in 2012. 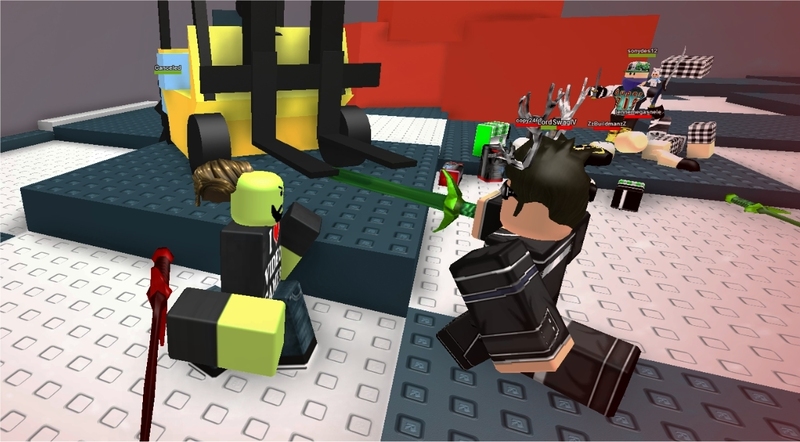 ROBLOX continues to grow and expand, giving some of its users some of the earnings back while paving a way for up-and-coming creative design artists to flex their mental muscles. You can learn more about ROBLOX by paying a kind visit to the official website.